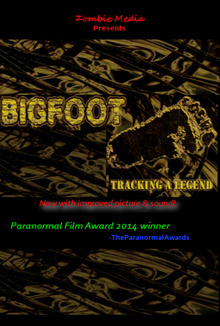 Follow cryptozoology researcher Tom Marcum as a bigfoot sighting becomes a bigfoot investigation. A long time skeptic reports a bigfoot sighting that sparks off a fruitful investigation. The Bigfoot sightings were real, All evidence found is 100 percent real. Program contains witness interviews, Field research, Photos and more. It's a candid look into the life of a bigfoot researcher and a look at real bigfoot evidence. Your support will help with future research, equipment, website fees and more! All Rights Reserved - Please Do Not Make Copies or distribute this video in any way. It is for private use only.